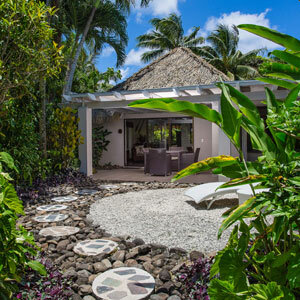 Pacific Resort Rarotonga is located on the beautiful Muri Beach. 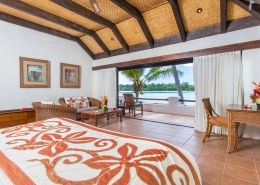 Just a stone‘s throw from the water’s edge, this resort is simply bliss. Crystal clear water, fabulous snorkelling & an outlook that is simply postcard perfect! 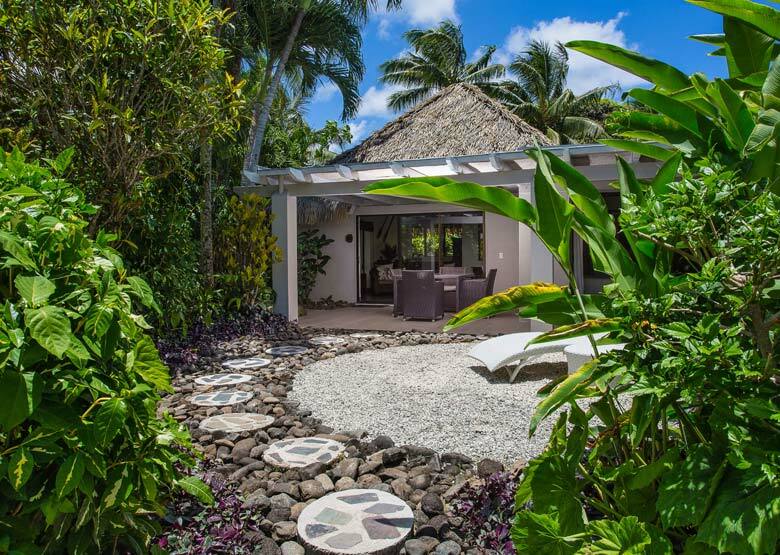 When you first arrive at the Pacific Resort Rarotonga, you are immediately imbued with peaceful serenity. 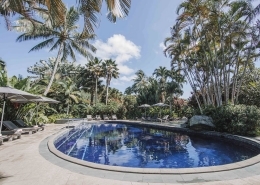 Set on 5.5 acres of landscaped tropical gardens and fringed by a translucent aqua lagoon, this popular 4 star resort features 64 studios, suites, family rooms and 2 or 3 bedroom villas. 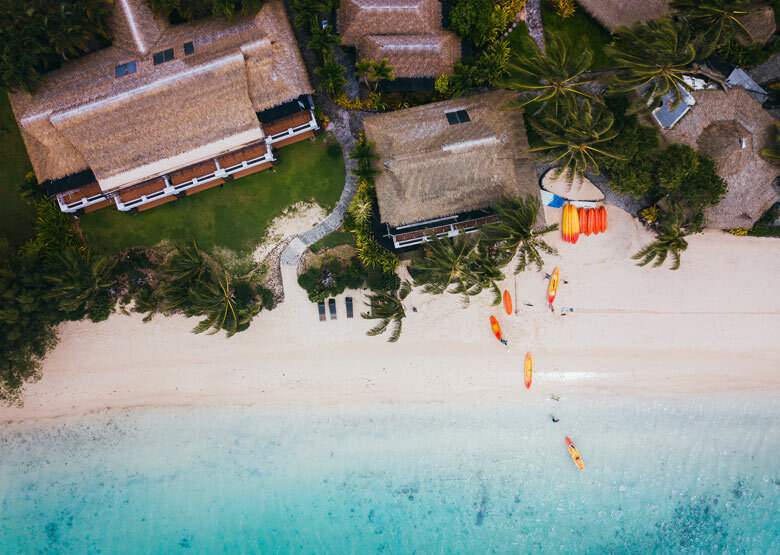 Under traditional thatched roofs, the various accommodations are set throughout the manicured resort grounds providing guests with a sense of space and views of the lush tropical verdure or the spectacular lagoon. 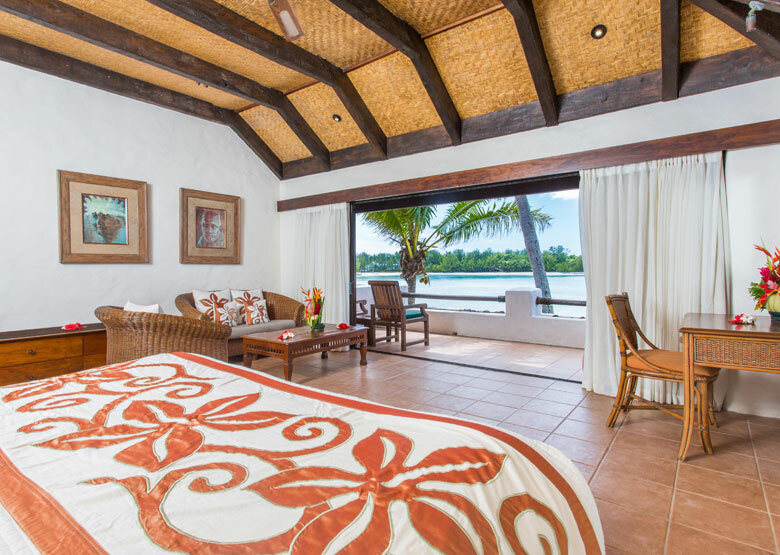 Each room is tastefully decorated in a contemporary Polynesian style offering all the amenities you would expect in a resort of this calibre. This family friendly resort provides a complimentary Kids Club as well as a variety of water sports, resort pool with Kids pool, a glass bottom lagoon cruiser, two restaurants, room service (11am – 9.30pm) and a day Spa at its sister property, Te Manava Luxury Villas and Spa. 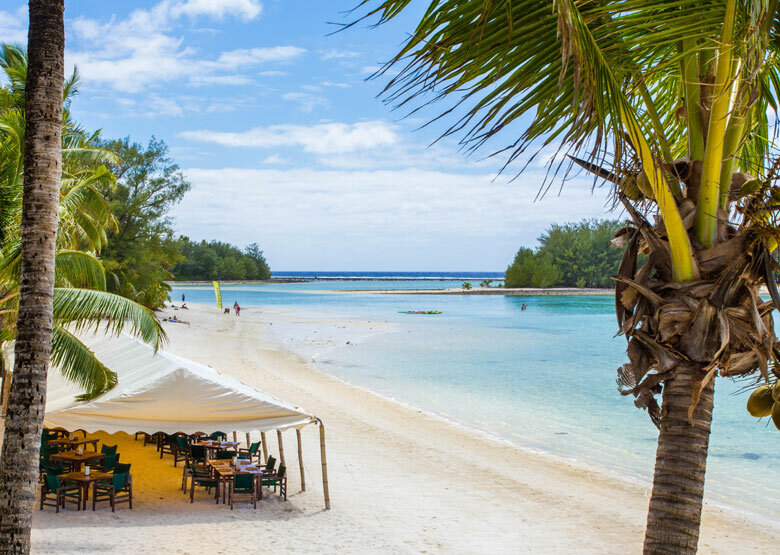 Despite being one of the best family resorts in the Cook Islands, the adult only Beachfront Suites are set slightly away from the main resort and are fabulous! 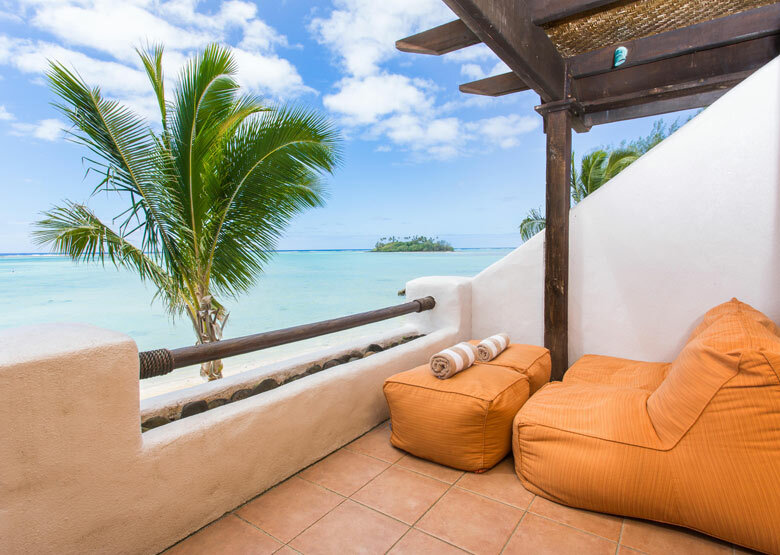 Opening directly onto the fine white sands of Muri Beach and with uninterrupted views of the turquoise lagoon, these spacious suites provide couples seeking the benefits of a full service resort, with a truly romantic holiday experience. Pacific Resort Rarotonga is located on Muri Beach Rarotonga, Cook Islands. Getting to Nautilus is easy! Transfer time is approximately fifteen minutes from Rarotonga International Airport? See map below for exact island location. Hands down our favourite resort on the island! The staff are out of this world – and leave you feeling like family. Besides the incredible service, Pacific Resort is situated on the most beautiful property featuring lush gardens, luxurious, traditional accommodations and it offers direct access to the famous Muri beach. It doesn’t really get better than this.